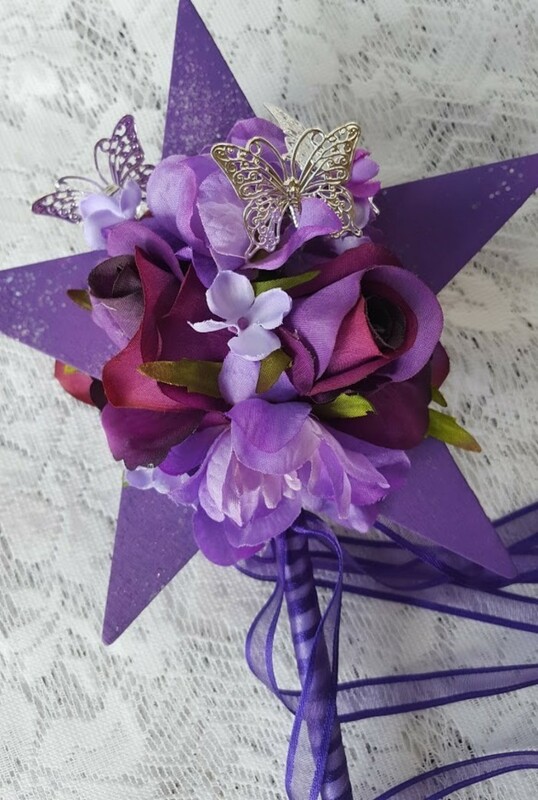 Purple painted star has flowers & butterflies on both sides. Pretty purple rosebuds with mauve delphinium & lilac flowers with silver butterflies. 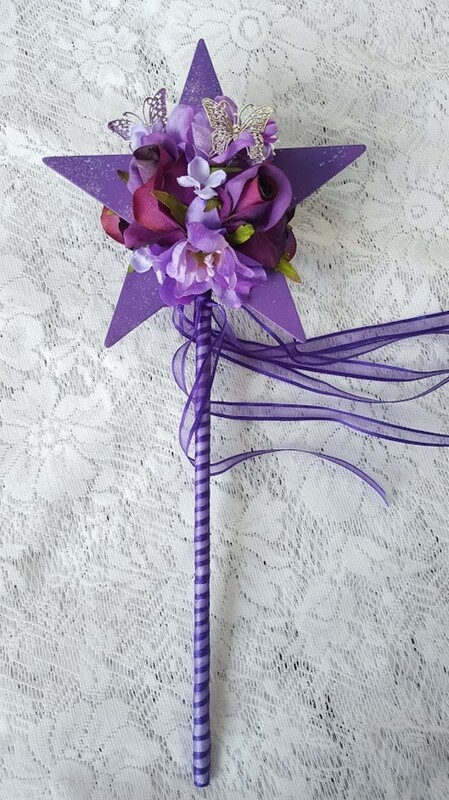 Purple organdy ribbon completes the wand. 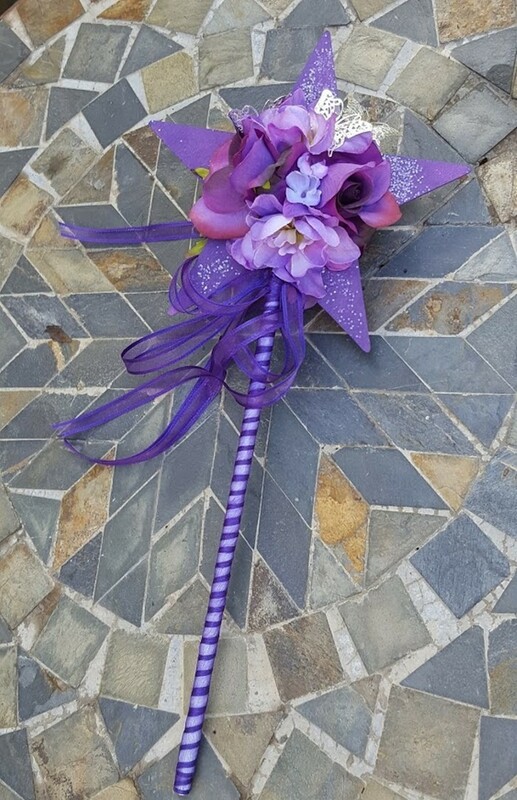 Each wand is individually made and may vary slightly to one another. Bouquets etc sold by Unreal Wedding Flowers have been designed & created by a professional wedding florist using artificial flowers.